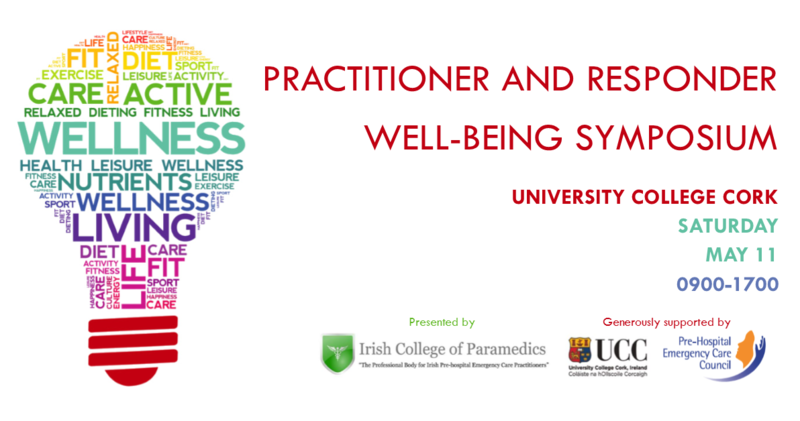 The Irish College of Paramedics will host a 1-day wellbeing event on Sat 11th May, in association with the College of Medicine and Health at University College Cork, which will be held in the Brookfield Health Science Complex, College Road, Cork. This event is open to all, members and non-members alike (but ICoP members get a discount...). Whether you're a responder, EMT, paramedic, AP, nurse, doctor or other, there's something for everyone at this event. 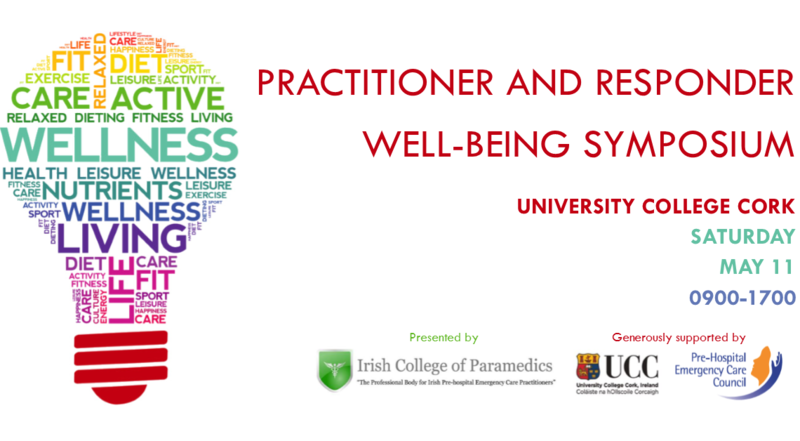 The day will feature speakers from Ireland and abroad, who will speak on a range of topics related to the health and wellbeing of practitioners and responders including health status, diet, sleep, stress, fatigue, mental health, exercise and retirement. Eligible for 8 CPC points. Previous post 2019 membership renewals due!